Details of completed and active projects can be found here. Articles written by members of the group which have been published in "The Villages Mag" can be found here. We are keen to talk to anyone with local knowledge about any of our projects. If you think you can help us with information, photographs or memories please make contact via the "Contact" tab above. This is the website of the Holmes Chapel U3A Local History Group. 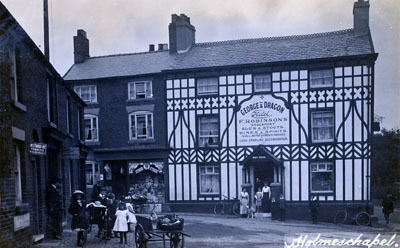 The Group welcomes new members with an interest in researching any aspect of local history in the Holmes Chapel area. The group is supported by the Holmes Chapel and District U3A and has received funding from the Heritage Lottery Fund for our WW1 project.